1. Dorsey JH, Tabb CR. Mini-laparoscopy and fiber-optic lasers. Obstet Gynecol Clin North Am 1991; 18(3):613-617. 2. Gow JG. Harold Hopkins and optical systems for urology—an appreciation. Urology 1998; 52(1):152-157. 3. Gill IS, Soble JJ, Sung GT, Winfield HN, Bravo EL, Novick AC. Needlescopic adrenalectomy—the initial series: comparison with conventional laparoscopic adrenalectomy. Urology 1998; 52(2):180-186. 4. Gill IS, Ross JH, Sung GT, Kay R. Needlescopic surgery for cryptorchidism: the initial series. J Pediatr Surg 2000; 35(10):1426-1430. 5. Gill IS, Soble JJ, Miller SD, Sung GT. 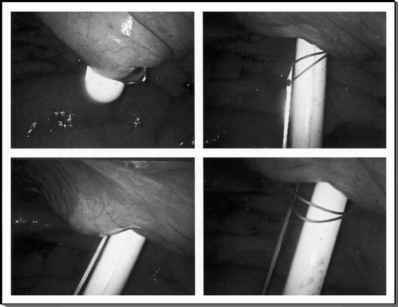 A novel technique for management of the en bloc bladder cuff and distal ureter during laparoscopic nephroureterectomy. J Urol 1999; 161(2):430-434. 6. Gill IS. Needlescopic urology: current status. Urol Clin North Am 2001; 28(1):71-83. 7. Tan HL. Laparoscopic Anderson-Hynes dismembered pyeloplasty in children using needlescopic instrumentation. Urol Clin North Am 2001; 28(1):43-51. 8. Mazdisnian F, Palmieri A, Hakakha B, Hakakha M, Cambridge C, Lauria B. Office microla-paroscopy for female sterilization under local anesthesia. Acost and clinical analysis. J Reprod Med 2002; 47(2):97-100. 9. Meraney AM, Gill IS, Kaouk JH, Skacel M, Sung GT. Laparoscopic renal autotransplantation. J Endourol 2001; 15(2):143-149.